When I first came across EST/WST I knew they were directly aligned with all the things I aim to uphold with Ethical Made Easy - ethical practices, sustainability and empowering people. The extent to which they achieve all three of the key pillars, however, is seriously amazing. 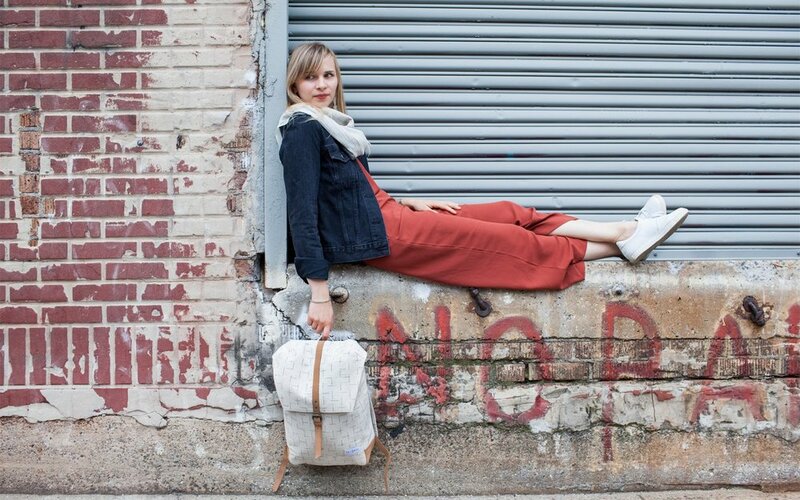 EST/WST sells a range of backpacks, totes and convertible bags, as well as small clutches & wallets, hats, and scarves. They define themselves as being 'an expression of universal values; values that prioritise the planet and the global population'. They understand the impact our daily choices can have on the planet and therefore their choices come from the understanding that 'everything we use comes from somewhere, and every choice we make has an impact'. It's with these choices that they focus on the connection between the East and the West, and the traditions, lifestyles, and insights that make us all unique. It's from this relationship with both the East and the West that the founders have created partnerships in both India and Nepal with skilled artisans who are now the key pillars of who make their products. EST / WST use a range of premium materials to create all of the products they sell. From natural fibres to vegetable tanned leather, every element within their supply chain can be traced back to its original source. Microfibres from our clothing make up 85% of all human-made debris found in our oceans, majority of which come from synthetic clothing that has been dyed using harsh chemicals. For all of EST/WST's products, they use only natural and organic or recycled fibres. While there is a multitude of ways to tan leather and create its final product, the most common method is using toxic chromium salts that have a devastating effect on the environment and the works who manufacture it. Vegetable-tanned leather relies on the tannins found in vegetables, fruits, tree bark and other naturally-derived sourced to produce a soft brown finish. EST/WST also ensures that any leather they use is a by-product so that animals are not harmed specifically for their products. Every season EST/WST features an artisanal collection that incorporates custom handwoven textiles from their partner collectives. They use these collections to donate a portion of the profits back into the community to tackle some of the biggest issues they face such as access to clean water, education, and other vital necessities. One of the ways that EST/WST currently give back is through Water Harvest, an organisation who have spent the last 30 years providing sustainable water to the poorest of communities. 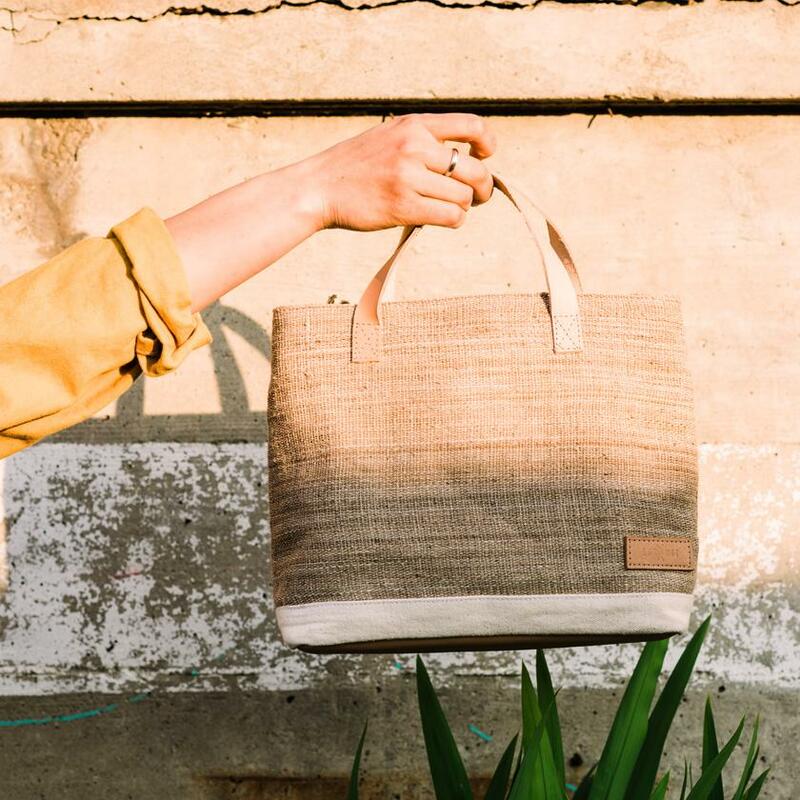 For every bag sold from their Indian organic cotton collections, they give $10 towards water harvesting units and to providing rural communities in India with access to clean water. "It is in remote villages in Rajasthan, India, where women and girls are being made vulnerable daily by having to walk miles to fetch water. This puts them at risk of illness and assault. While the women walk these perilous distances, families living near the famous Sambhar Salt Lake are still being forced to drink contaminated groundwater as they face an increasing shortage due to changing rain patterns, rapid desertification, but also as the salt lake has salinized the groundwater supply for many kilometres around." For EST/WST fair trade practices are a must throughout all aspects of their supply chain.This means they pay a premium for high-quality materials and ensure their partner collectives set fair wages. All their products are made in factories in the USA and a fair trade factory in India. They pride themselves on having a completely transparent supply chain, so if you do have any questions they encourage you to ask. From the arrival of the bag (packaged in cardboard with recycled paper) through to my daily use, I can happily announce that the bag I've been using for the last three months on the daily has far exceeded my expectations. An interview with Jhana, the co-founder of Est/Wst Collective. What made you start EST/WST? Our parents met in Nepal back in the 70’s and worked there for 12 years. My older brother and I spent the first few years of our lives there before moving to California. I always wanted to go back and experience the country as an adult so I moved to Kathmandu and started volunteering with a couple non-profits. While I was there I was drawn to the textiles I’d see around the market. Most of the things I saw that were made with hand woven textiles were your typical looking products that were cheaply made and often covered in dust from sitting on the shelves for too long or hanging outside a shop on a busy street. I started working with tailors to make my own clothes with the textiles I’d find in the market. This naturally lead me to look into where these materials were coming from. Just like more and more of us want to know where our food came from before it ended up at the grocery store, I thought that we should be able to ask the same questions about the clothing, bags and accessories that we use everyday. What is the meaning behind the name EST WST? It’s an abbreviation for East West; the Eastern and Western sides of the world. The logo in the middle represents the two sides crossing over to signify a connection and collaboration. It also represents a single stitch, or weave, created by bringing together the two sides. Doing things ethically in the fashion industry should be the norm but unfortunately, the opposite has been normalized. An ethical business is almost always more expensive and more challenging to set up because you’re doing things an alternative way, outside of the norm. You have to compete with mainstream brands who are doing things much faster and much cheaper, at the cost of others and the environment. I think before starting you have to have a strong purpose outside of just making a profit, a realistic attitude, and be prepared to face those challenges. There are a lot of different ways to be ethical and it’s very hard to check every single box in the beginning. 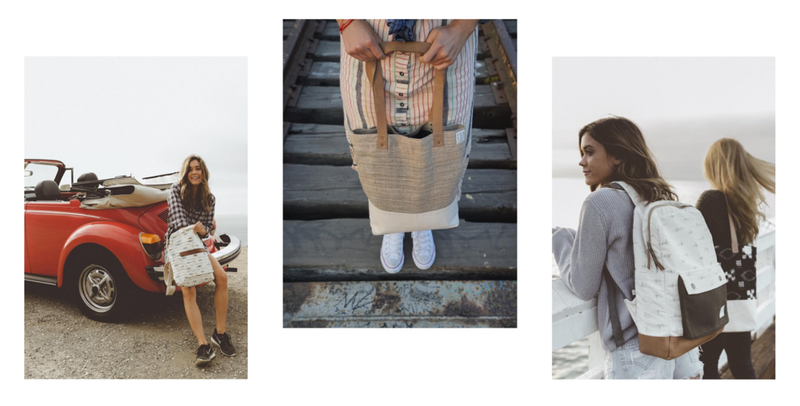 When we first started out we wanted to be everything—vegan, fair trade, artisan made, hand woven, completely sustainable, all natural materials, recycled, cradle to cradle. Then we realized that by doing everything we would actually miss out on doing one or a few things really well. Sometimes by choosing your main focus, you’re actually able to create more impact. Within the ethical fashion community, there's a big question that we ask which is 'who made my clothes?'. In the scope of EST/WST, who made your bags and accessories? Can you tell us a bit about them? This is definitely the question that inspired EST/WST. Our materials can all be traced back to the weaver group who made them and even to the organic cotton farm or hilltop where the fiber was grown before it was spun into yarn and woven. We have visited these villages and have a direct relationship with the weaver groups. 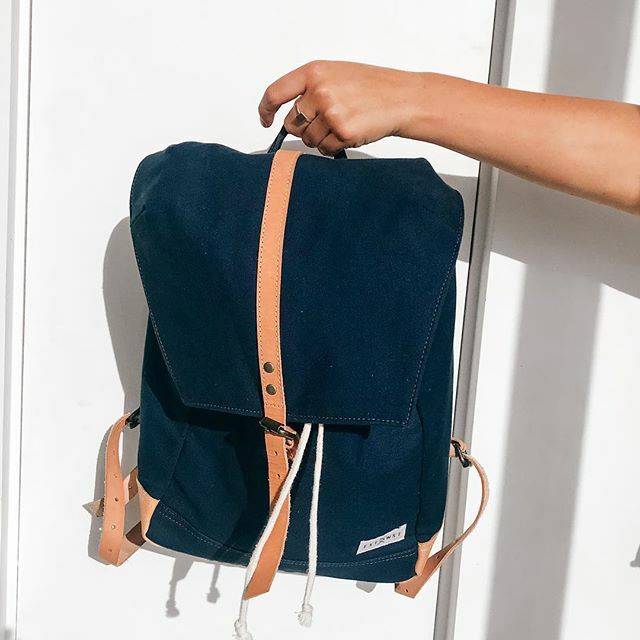 We previously made our bags with a fair labor factory in Nepal and India but decided to shift the majority of our production to the US so that we could be more involved with the production and insure that our quality is up to standard and aligns with the value of the materials themselves. We’re now working on our Summer collection with a small workshop in Portland, Oregon, but our materials continue to come from partnerships with artisans around the world. When I was living in Nepal I bought a card that had a quote on the front by the Dalai Lama. It started our with “No matter what is going on, never give up, develop the heart...” I had this in my studio and used to look at it sometimes when I was working at my desk and it definitely helped me, not only to remember to persevere but to remember why. Never give up! Or if you do, make sure to use the experience as a learning and growing opportunity, as well as every little mistake or “fail” along the way. Where do you envision EST WST in the future? We hope to branch out to be a full lifestyle brand. 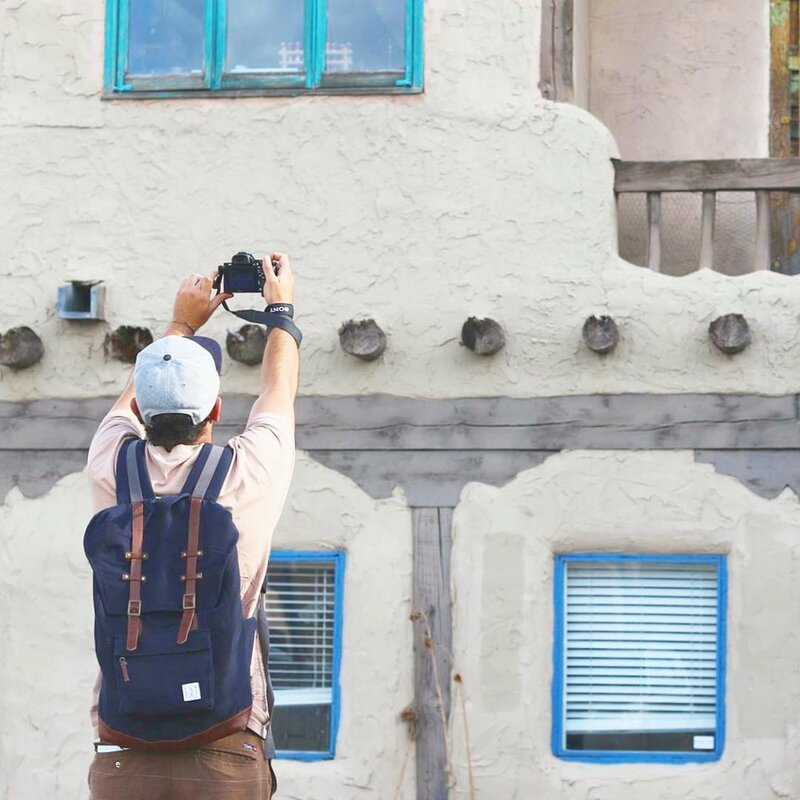 Eventually, we’d love to have our own shops that further allow customers to connect with the people, places, cultures, and stories behind everything we make. It comes back to our motivation, to create more awareness and respect in the world through connection. I started putting my phone on airplane mode when I sleep so that in the morning I don’t go straight from turning off my alarm to looking at notifications and social media. I turn my alarm off and then try to remember how fortunate I am to be alive and healthy then I try to generate an intention to get up to use my body and mind to do something meaningful and develop into a better person. I wash my face with cold water and do at least 15 minutes of yoga, depending on my time. I then sit and meditate, which is something I learned when I was in Nepal. The time I sit depends on my mood (how lazy or how distracted I’m feeling that day) and the time I have, but the most important thing is that I set my daily motivation and do at least some mindfulness meditation. It’s come to a point where if I don’t do this at all I really notice a difference in my day, like if you forget to brush your teeth in the morning. “Living Beautifully with Uncertainty and Change” by Pema Chodron. I first read this when I was in Nepal in 2015 after experiencing the devastating 7.8 M earthquake there. We were in the middle of sampling our first collection with our new partner in Kathmandu. The factory shut down afterwards for more than 3 months and along with that we lost an entire year of our production which set us behind significantly when we had only just started getting the ball rolling. I had no idea what was going to happen with EST/WST and I suddenly became aware that things can happen in life that you cannot control and that you are unprepared for but it’s up to you how you choose to handle those experiences. This book was incredibly helpful for me in all areas of my life. Our friend Danny has set up an amazing project based in Nepal called Gravity Water. He’s also from the Bay Area but we shared an apartment at times in Kathmandu and he’s someone who genuinely has a pure values based motivation for what he’s doing. Another friend, Briony Mackenzie, based out of Melbourne and NYC, started the Global WomensProject. We were riding my scooter together in Kathmandu during the earthquake. Immediately afterwards, she worked with her partner non profit to offer shelter and food to hundreds of people who had lost their homes. She continues to do amazing work in Nepal supporting women with the tools and resources they need to build better lives.